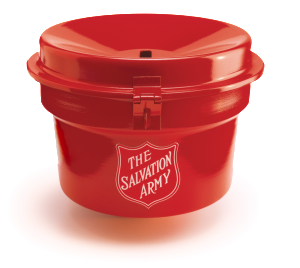 The Red Kettle Campaign is our most notable fundraiser, and this year, The Salvation Army New Orleans Area Command is asking for your help by becoming a volunteer bell ringer! You can donate your time and become a volunteer bell ringer for the day at one of our kettle locations in the Greater New Orleans area. This is a great way to give back to your local community as well as a very rewarding and fun experience. The volunteers who give their time to ring the bell each year change lives simply by lending a hand. If you would like to become a volunteer bell ringer, but cannot commit to an entire day, don’t worry! We can also accommodate half-day shifts. This volunteer opportunity is great for individuals as well as groups (volunteers must be 18 years of age or above unless accompanied by a parent or guardian). If you are interested in getting involved this Christmas season please complete the form below. If you have any questions, please contact Brandon Shafer at (254) 314-6221 or email. We look forward to hearing from you!